It was with great sadness that we recently learned of the death of Robert McKissack. Bob worked for several years as the bike rental guy, among other things, at the Century Cycles store in Peninsula. Bob was also a long-time resident of Peninsula, and remembered the days before the store was a bike shop, and could recount tales of its days as Mitzi's Bar, and before that, an upholstery shop. 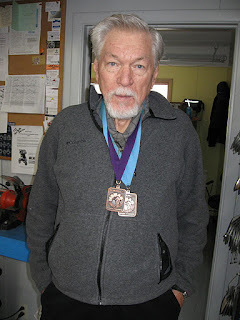 As an avid cyclist, Bob enjoyed riding long-distance tours around the midwest, and enjoyed stopping by the store every November to show off his medals from the 65+ division of the Iceman Cometh Challenge mountain bike race in Traverse City, Michigan (above). Bob also loved the Cuyahoga Valley, serving as a volunteer for the National Park and the Scenic Railroad; he was known as the "tallest elf on the Polar Express." At the request of Bob's family, memorial donations can be made in Bob's name to the Conservancy for Cuyahoga Valley National Park, c/o Administrative Office, 1403 West Hines Hills Rd., Peninsula, OH 44264. 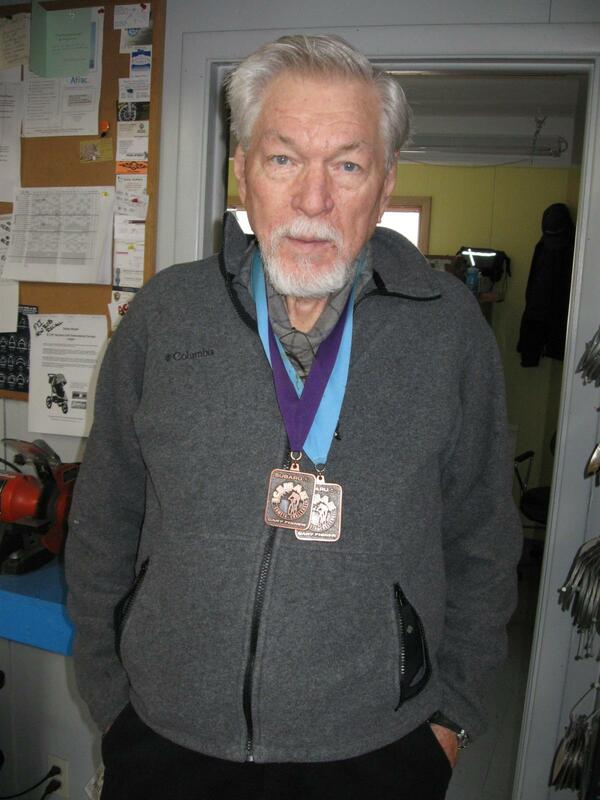 Bob's obituary is posted online. Bob McKissack will be missed, and we extend our condolences to his family. Bob was truly a great guy to work with. He was a superb ambassador for the Cuyahoga Valley National Park and his ability to dispense both park and Peninsula information and history was legendary. It was always great riding and sharing beers with you, Bob. We'll miss you very much.